If you’re into adventures of the natural kind—we’re talking being totally immersed in Mother Nature—then this article’s for you. Yep, it’s time you picked up your tent-pitching game, learnt to throw one on the BBQ (without burning it of course) and hit the tracks without ye ol’ trusty Google maps. 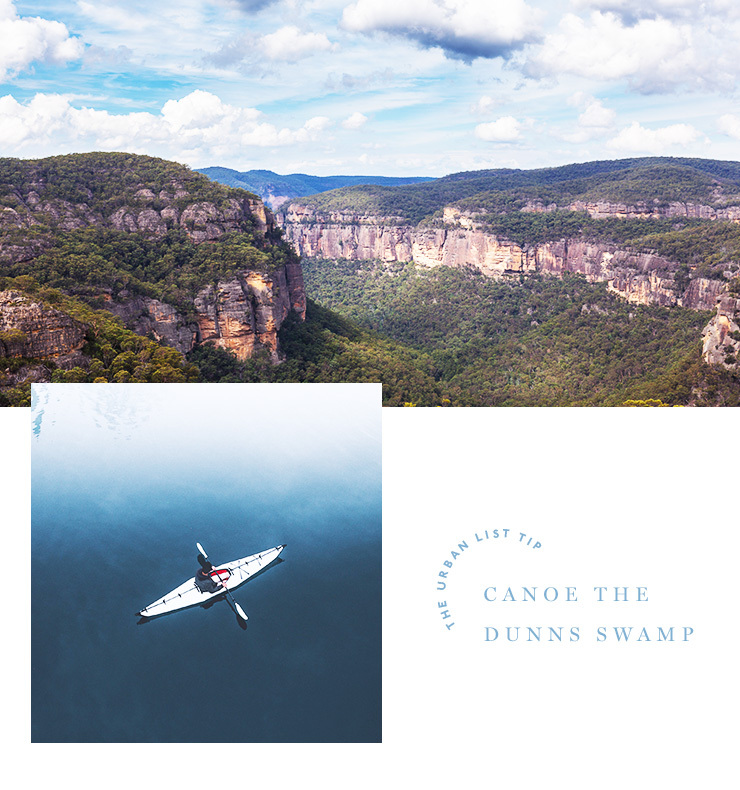 Ditch the Wi-Fi and room service, here are 7 stunning natural places you didn’t even realise were in NSW (and that you’ve maybe never even heard of). You’ll want to hit up the Winifred Falls Trail to get to this one (and no, we’re not leading you to the deep green plunges of the Winifred Falls). There’s an optional side trop along the track, which low and behold will lead you to another little slice of paradise known as the South West Arms Pools. It’s about a 40-minute walk from the start of the track, and 300 metres downstream from when you get to the Winifred cascades. And what will it lead you to? A giant 60 metre deep swimming hole. And cliff jumps, obvs. 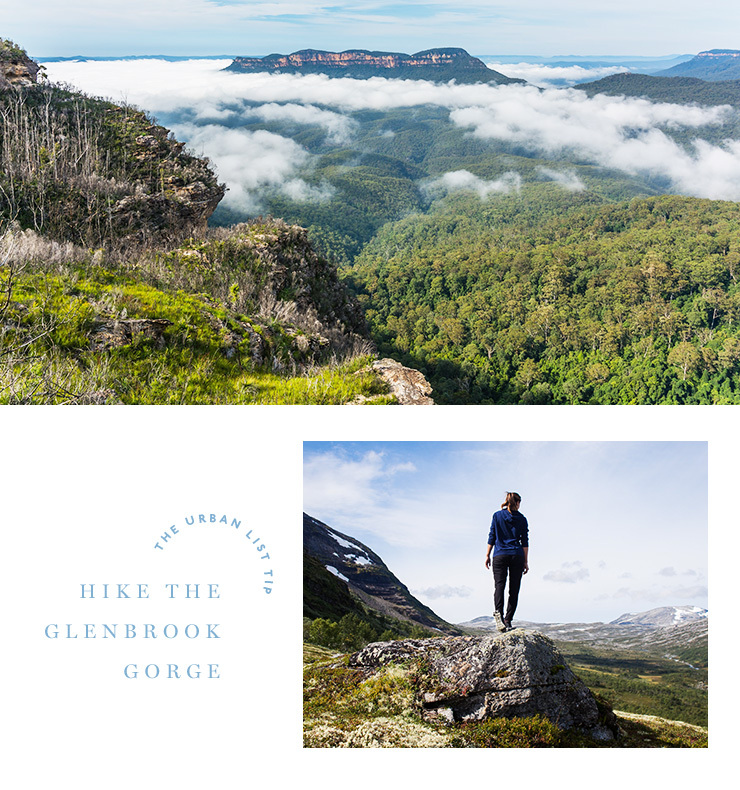 Heads up, this one’s a glorious hike and you’ll want to start it at the Glenbrook information centre. It’s one of the lesser-known natural adventures and it’s riddled with pools and climbable boulders. Knowing you, you’ll probably want to hit up the jelly bean pool which means you’ll be taking a side trip (veer right) about 600 metres into the hike. Along with a spot of swimming you’ll also be able to explore the historic railway tunnel that dates back to 1911. When your only requirement for road tripping is to end up at a little place that feels like you’re on some deserted tropical island in the middle of the Pacific, Hat Head National Park is definitely your go. Located on the mid-north coast of NSW near South West Rocks, this natural slice o’ paradise is pure coastal perfection with beachside camping, a lighthouse to explore, epic fishing spots (you’ll catch something even if you’re a total fishing rookie) and snorkelling in the beautiful Korogoro Creek. In other words, if there’s a time to start practicing your tent-building abilities, it’s now (because there are two campgrounds to choose from!). We need to talk about Bathurst people, because we will never get sick of taking in the magic of a seriously incredible limestone archway. And we really can’t get enough of the huge masses of marble that are millions of years old, the wobbly rope bridges you need to navigate through the caves, or the nearby camping grounds (boasting the luxury of hot showers) and the Grove creek waterfall walking track. Unlike the name, Dunns isn’t the swampy kind of mud-laden reservoir you might expect it to be (that definitely wouldn’t be worth the four-hour drive to Rylestone). Encased by world heritage level surrounds, including a serene waterway on the Cudgegong River and some pretty spectacular bushland. Come prepared for a heap of trails, rock formations, places to picnic, fish, and canoe, as well as a plethora of jealousy inducing photo ops. And guys, you’ll be totally off the mobile grid. Bypass your annual Sydney staycation for an epic farm stay, outback Australia-style (20,000 acres of it). Corynnia Station is a working property producing quality Merino wool and meat where you can enjoy an outback escape with a side of homestead gardens, pool, tennis court, all of the cute animals and all of the delicious food. Located in the Hay Plains, in the western Riverina region of south western New South Wales, this 1930s oasis is pet friendly and home to some beautiful sunrises. And good news, if you’re not a fan of the glorious road-trip, there’s an airstrip if you’d rather take to the skies instead. Just a few hours drive north of Sydney is Dingo Tops. Lying on a pretty awesome ridge of the Great Western Escarpment at the base of Tapin Tops National Park, this camping ground is Mother Nature’s way of saying #treatyoself. 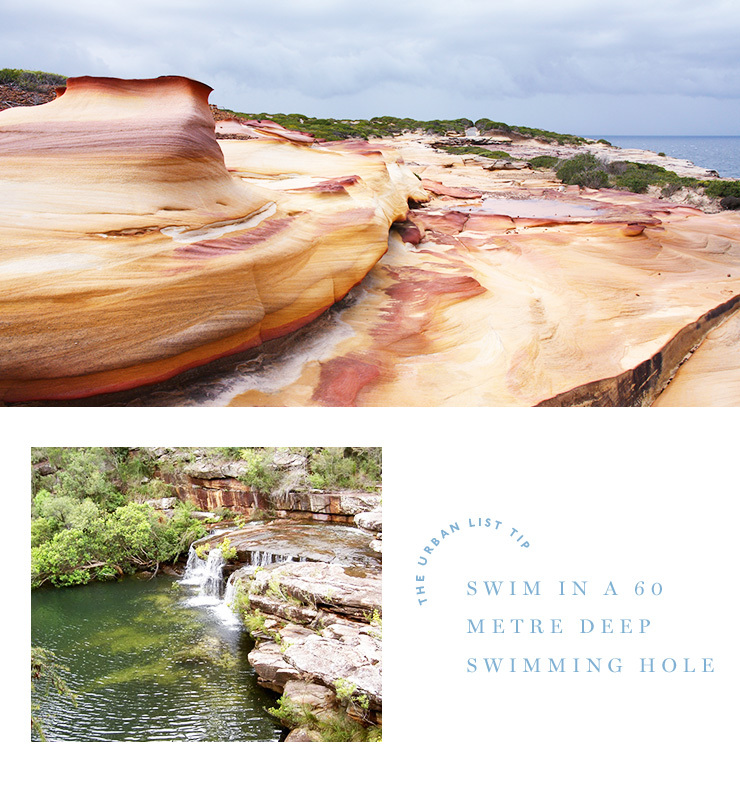 Surrounded by eucalypt forests (which make for a pretty damn spectacular sight when flowers are in full bloom), you’ll find picnic areas, walks and the Potaroo Falls, which is the perfect spot for some swimming and a bit of rock hopping. And guys, this campground is entirely secluded, so you’ll have to bring your own everything. Want to venture out past NSW? Check out our Ultimate Must-See Guide To Fraser Island.